Eco Holiday Operators for Nepal and India. Our community tourism development is focused on the Eco Tourism and Sustainable Tourism where every level gets an equal say and equal benefits. It a strategy which seeks to develop and smoothly run tourism at the community level and to enhance the 4A (Attraction, Accomodation, Accessibility and Amenities. Different examples include: Ghandruk Eco Village tour, Barpark and Larpark , plus visits to other remote villages which are keen to benefit from tourism. 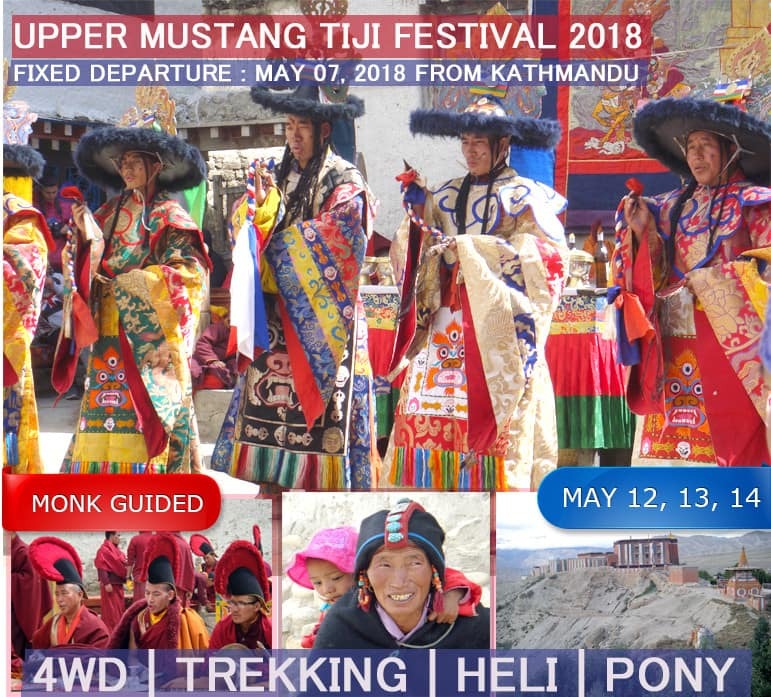 We have been supporting tourism development through activities including Hospitality English Speaking Classes, Basic Cooking courses , developing treks which encourage collecting garbage during the trek, providing public awareness, promoting clean drinking water including via management of domestic animal husbandry, building of chimneys etc. Community Aspect : Our all activities are based on local community; and promote their culture and ethics. We involve local people to operate our activities on their area, and are working to improve living standards of local peoples. We believe that, as local people have specialist knowledge of their locality, culture, heritage and peoples, they must have a unique role in local tourism. Local Prosperity : In our all programs we take our guests to local homes to stay, and for at least one meal per day. We encourage and provide basic training to help villagers operate home-stays. Our guides and tour managers teach local women about foreign culture, and about visitors expectations. 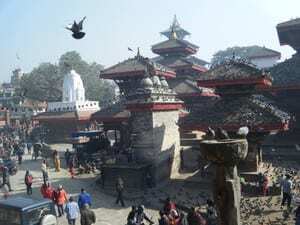 This was my second trip to Nepal , while I enjoyed my first trip a great deal, this vacation far surpassed my first experience. The difference? 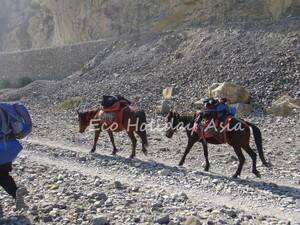 My second trip was with Eco Holiday Asia Tours. Ashok developed a personalized and affordable travel plan that in the end gave me complete peace of mind, everything was taken care of. It was the perfect balance of culture, history, adventure and sightseeing. I can honestly say, Ashok was a pleasure to be with, warm, friendly, genuine and professional at all times. I do not say this lightly, you would be well-served to go with Eco Holiday Asia Tours if you are planning to go travelling in Nepal. 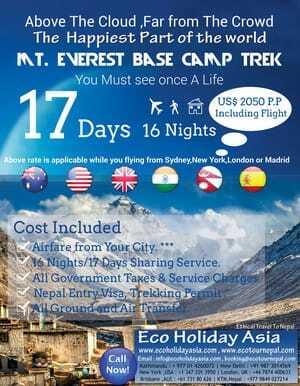 Now, I can't wait to plan my next trip to Nepal with Eco Holiday Asia Tours - see you soon Ashok. 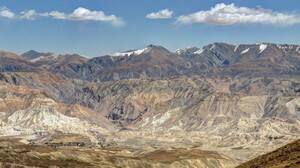 Fantastic trip to Upper Mustang during August 2014. Very knowledgeable and exhibits a genuine interest and commitment to socially-aware tourism. Builds excellent relationships with local communities. Includes first aid kit and experience with recognising symptoms of altitude sickness. Good integrity, not a rip-off, not a sycophant. You will be travelling responsibly with Eco Holiday Asia. This company doing good. We take service last year for Everest Base Camp Nepal. Too professional Service , friendly staff. Glad to see your service help desk in Brisbane . Best Of Luck Eco Holiday Asia Team.